PODCAST Welcome to the secret history of Herald Square, New York City’s second favorite intersection — after Times Square, of course, just a few blocks north. But we think you may find this intersection at 34th Street, Sixth Avenue and Broadway perhaps even more interesting. 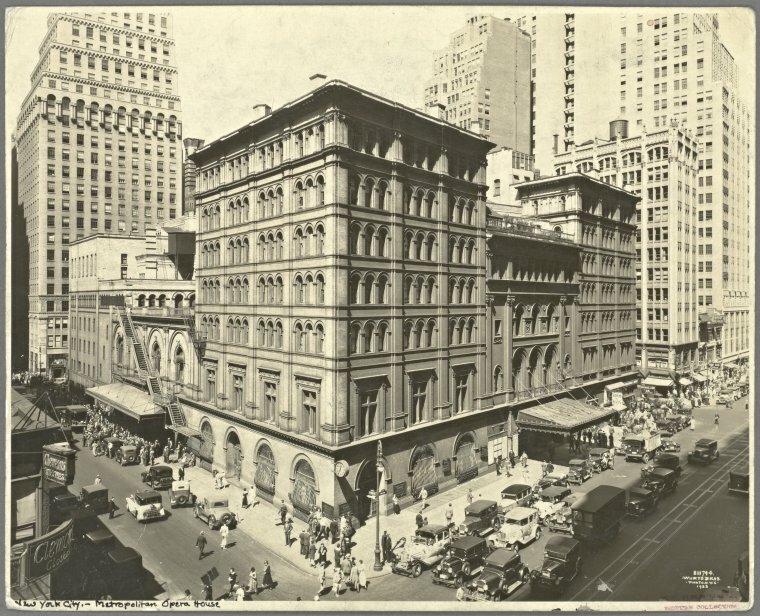 This is a tale of the Tenderloin, an entertainment and vice district which dominated the west side of midtown Manhattan in the late 19th century, and how it abutted the great cultural institutions that soon became attracted to Herald Square, from cheap aquariums to New York’s greatest opera house. 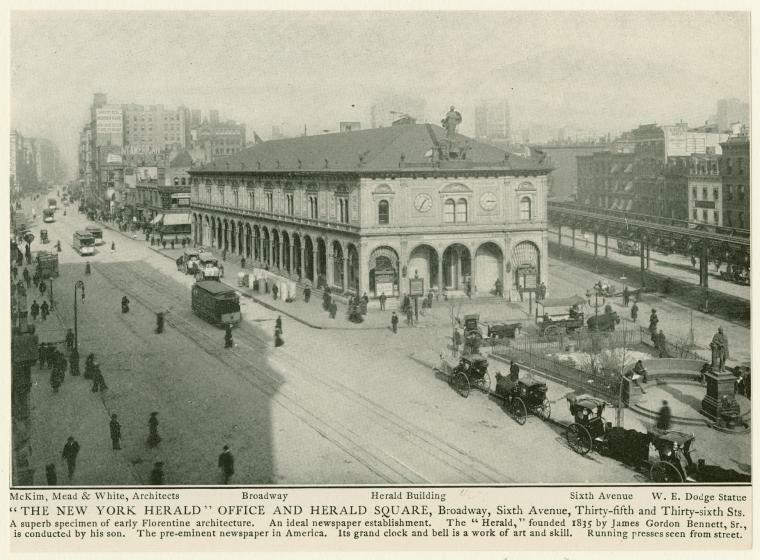 By the 1890s, newspapers arrived to the area, including the one that gives Herald Square its name. A remnant of the New York Herald Building still sits in Herald Square and is the cause of some serious conspiracy. (Especially if you’re afraid of owls!) 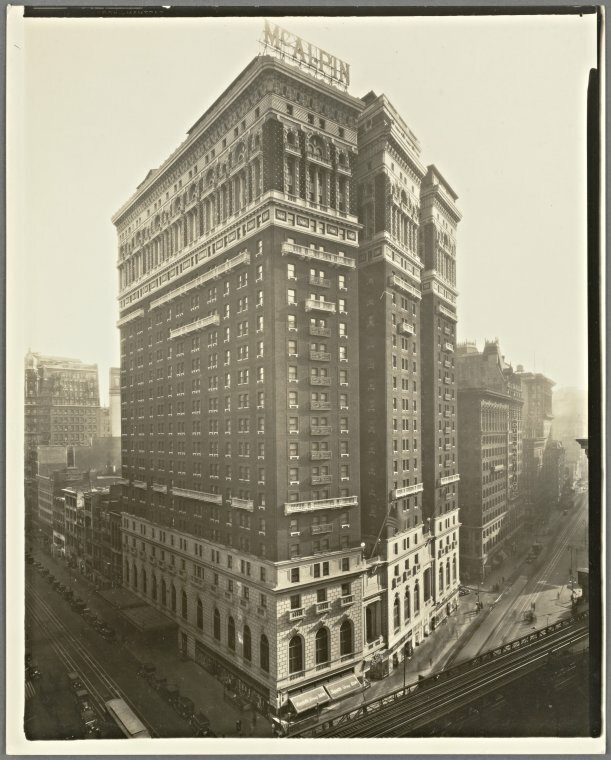 But the Herald wasn’t the only publication that got its start here; in fact, one of America’s most famous magazines began in a curious office-slash-bachelor apartment facility just close by. 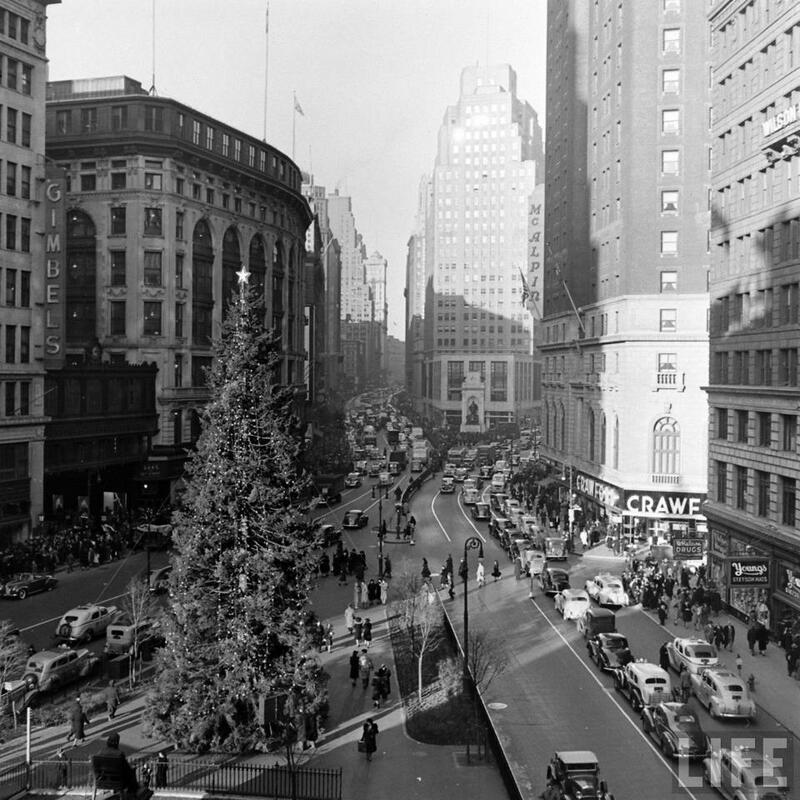 The department stores came at the start of the 20th century, and we bring you the tales of Macy’s, Saks and Gimbels, not to mention their later incarnations, the Herald Center and the Manhattan Mall. 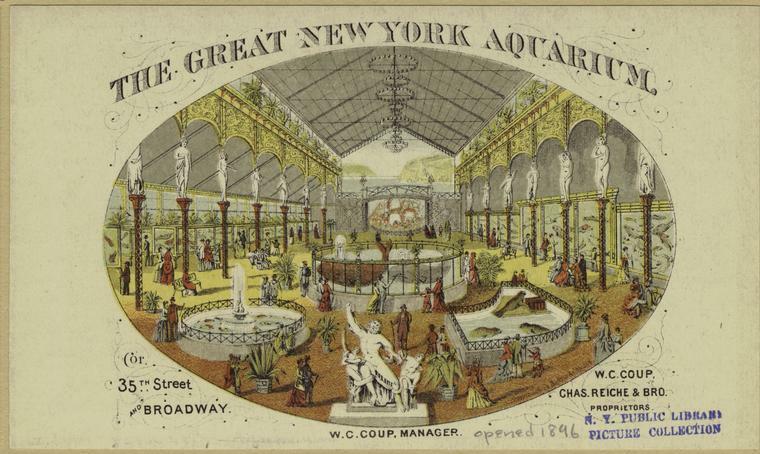 ALSO: Where on 32nd Street were crazy parties featuring a who’s who of New York’s greatest freak show performers? Where did a silent fim stunt man meet his end? 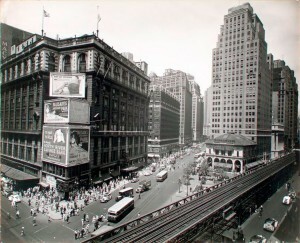 And where in New York can you get the best in Korean pop music? The bawdy Haymarket dance hall, at 30th Street and Sixth Avenue, in a magnificent painting by John Sloan (1907) that conjures up the glamour and winks at its secret pleasures. 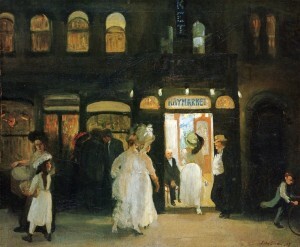 Several of Sloan’s works depict places located in the Tenderloin, a wide area of entertainment and vice west of Broadway. 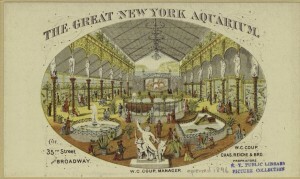 The original painting hangs in the Brooklyn Museum. 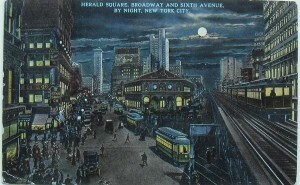 A view of Greeley Square, with the elevated to the right. 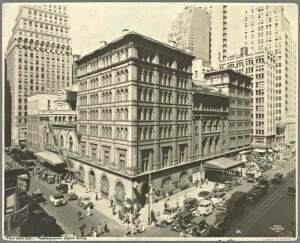 This building is the Union Dime Saving Bank. 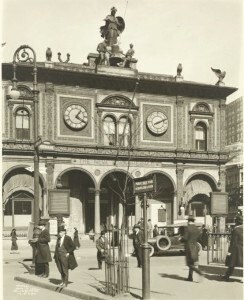 The counting offices of the New York World were on the ground floor, however I’m not certain if they are there in the year this picture was taken (1899). 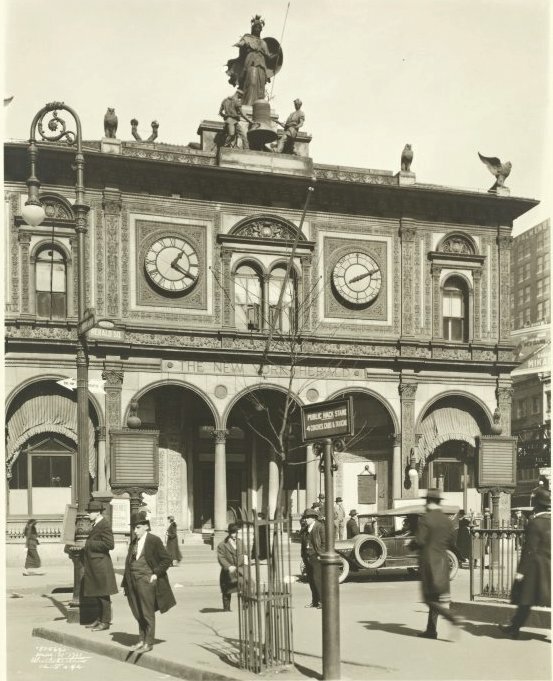 Now here’s a mystery for you — this is Greeley Square, named for the statue of Horace Greeley which was definitely installed in 1894. Hmm, but where is it? 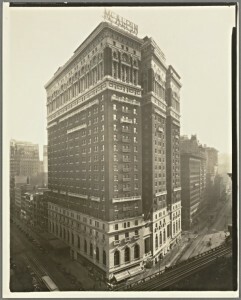 The Hotel McAlpin, at the southeast corner of 34th Street, the largest hotel in the world when it was built in 1912! 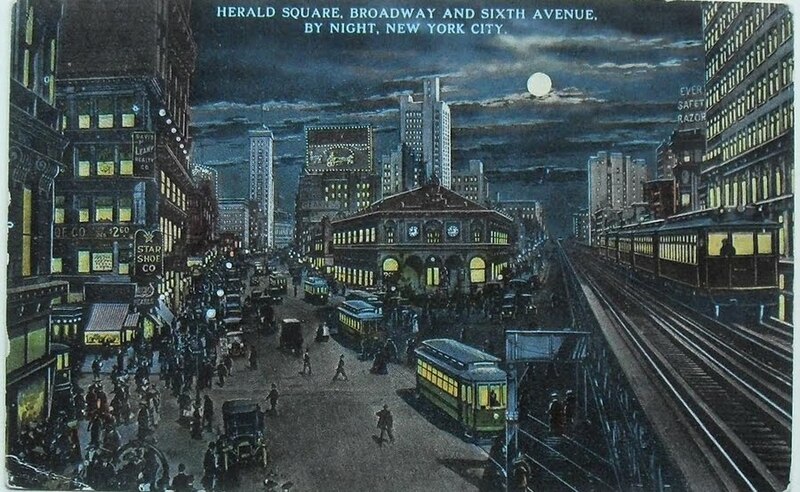 Happy 100th anniversary to this accommodation, pivotal in New York City history. 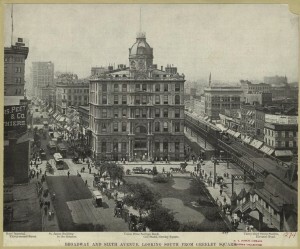 Herald Square in an early (1896!) clip from Edison. 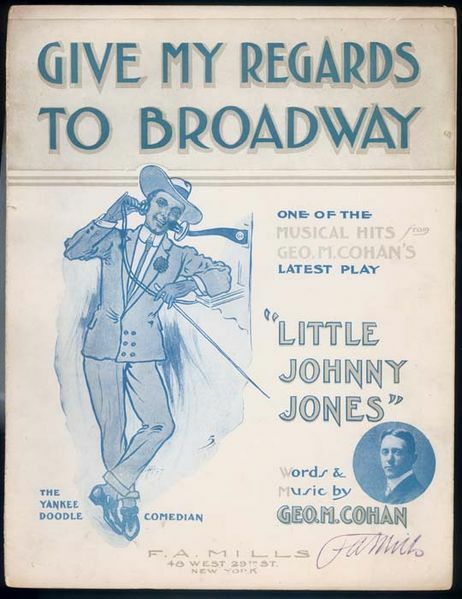 ← Happy 12/12/12! 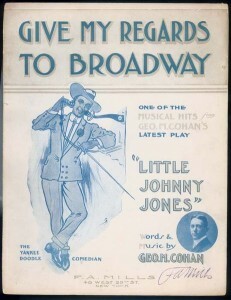 December 12, 1912, that is.